Grab your map, your car charger and hop in your car- but first make sure you’re ready for your road trip. On July 1st we gave you apps you needed for your summer road trip. Now, we are back providing you with even more apps for your road trip. While nearly standard on many cars, having these apps on your phone is an absolute necessity. These apps are unique because they use social media and the internet to get you where you need to go as fast as possible, making them a better option to your standard GPS. 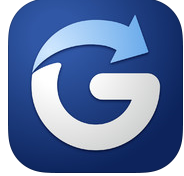 Part social media part GPS, this app gives updated traffic information as you drive. With the posts of other Waze users, updates about construction, accidents and even police arrive on your screen as you drive. This update requires data, but we think it’s worth it given the real-time updates and route changes right to your screen. Watch delays melt away in the summer sun with this app. While this app does all of the standard GPS needs, if you upload your route before leaving Wi-Fi, you are able to use this GPS offline. This feature differentiates this app from any other on the market while saving you data and battery. However, if you do have data, it updates based on traffic from online traffic reports. Getting gas on a road trip is inevitable and these apps help ensure you’re getting the best deal at the pump. 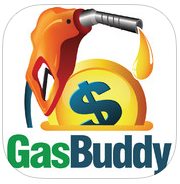 This free app locates gas stations near you and lists their gas prices. 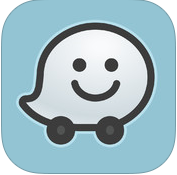 Similar to Waze, it depends on its community to fill-in the prices. However, you earn points with these updates for free giveaways. 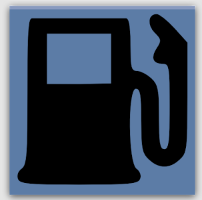 These live updates allow you to get your information for cheap gas and you’ll save money on your cross country trips. This app uses the internet for the lowest gas prices listed. It also shows helpful info like if there’s a store or bathroom at the station. Planning for a road trip means planning for the unforeseen. If you have to be towed or need help form the side of the road, these apps are for you. 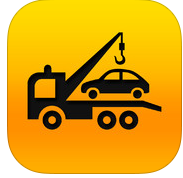 This app uses your GPS location so that you can call a tow truck to take you to the closest garage. In your time of need this will help you find a tow truck company no matter the time or location. 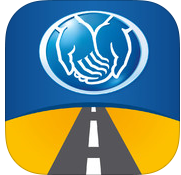 This app, run by Allstate, helps you whether you’re an Allstate customer or not. 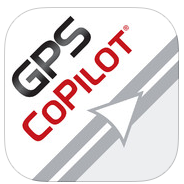 This app allows you to send updates to a limited network of what your GPS location is. This is a great app for parents to follow your kid’s route when you want to check up on them. They also show specific time updates if allowed so parents don’t have to worry about your children if they forget to call.